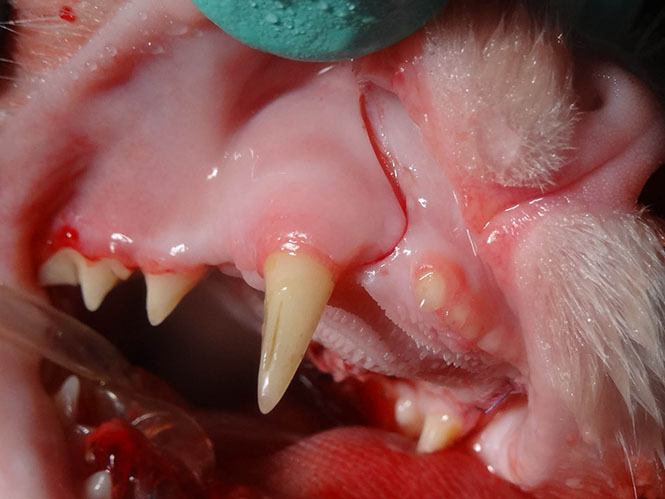 Extracting teeth in pets is generally a last resort, however sometimes it is the only way to treat severe periodontal disease, fractures that can’t receive root canals or other severe conditions. 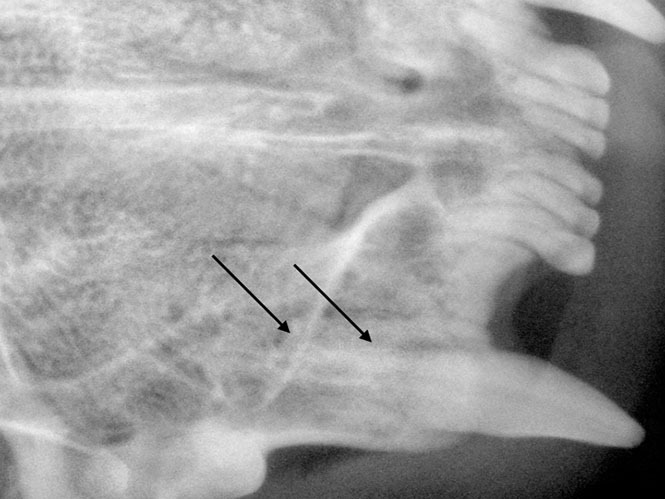 Take a look at the area the arrow is pointing to on this radiograph. 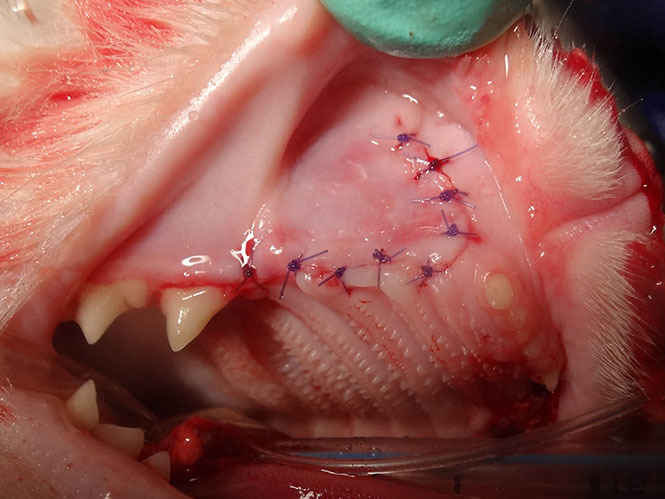 Tooth resorption in cats is only treated by tooth extraction. 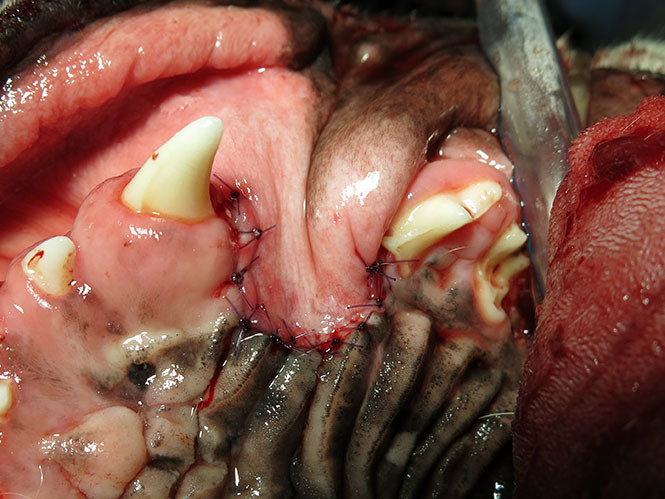 A postoperative view of the area after extraction of the diseased crown and root in this feline patient. Dogs with short faces or brachycephalic breeds like boxers, pugs, Boston terriers and English bulldogs commonly have rotation and crowding of teeth that make them prone to bone destruction from periodontal disease. This condition starts with the inflammation of the gum from the plaque that accumulates from not brushing. Eventually the gum and the bone are destroyed. 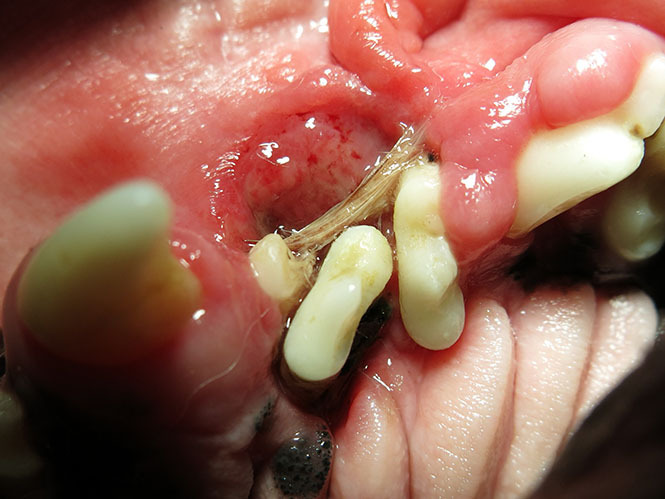 If we merely pull the tooth we leave the diseased tissue behind which does the patient little to no good. Remember the disease is not in the tooth it is in the tissue. 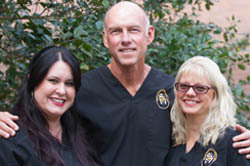 Cleaning the bone and the tissue is the most important part to eliminate the real disease.